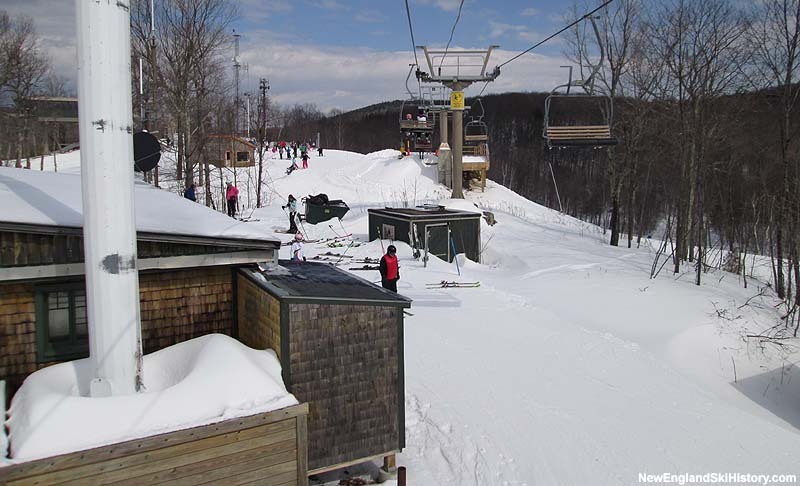 After over a decade of operating with Skimobiles and rope tows, Cranmore looked to expand its terrain and uphill capacity. In the spring of 1955, Hannes Schneider began planning and laying out new trails on the southeast face of the mountain. Sadly, after spending a long April day laying out trails, Schneider suffered a fatal heart attack at the age of 64. Work nonetheless continued as a trail named in memory of Schneider was cut as well as a wide 25 acre slope. 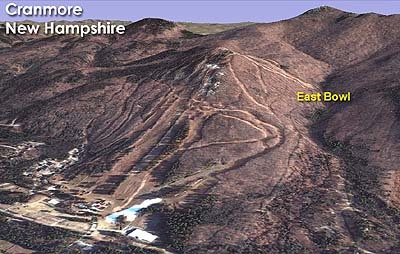 The new East Bowl area was rolled out for the 1955-56 season, served by the area's first double chairlift. 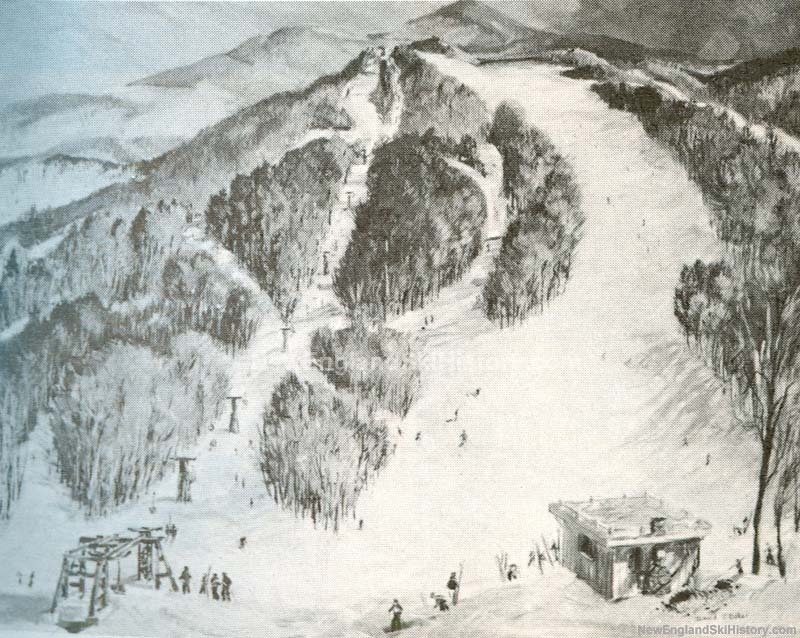 In addition, a rope tow on the South Slope was replaced with a Pomalift. 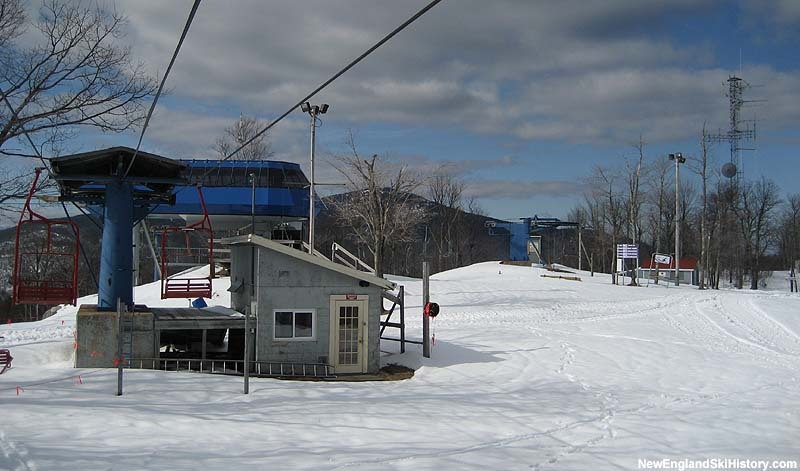 Overall, the new lifts were advertised as doubling the skier capacity of the area. The dedication ceremony for the new chairlift was set for Sunday afternoon, December 18, 1955. 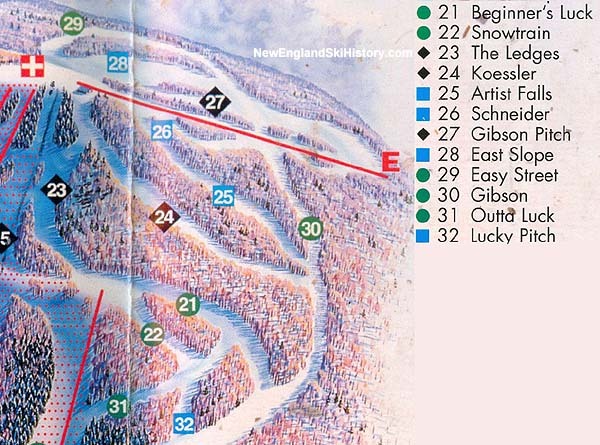 The Boston Globe proclaimed, "[n]ow skiers can run downhill all day on the back side, have lunch in a special structure built for that purpose, and not be seen on the face of the mountain till they take the final run in the late afternoon." In addition, the new terrain was thought to be a first step toward development of the recently acquired Black Cap Mountain easement. The East Chair suffered severe damage circa the mid 1970s and, as a result, was rebuilt by Mueller to give it a distinct look and feel. 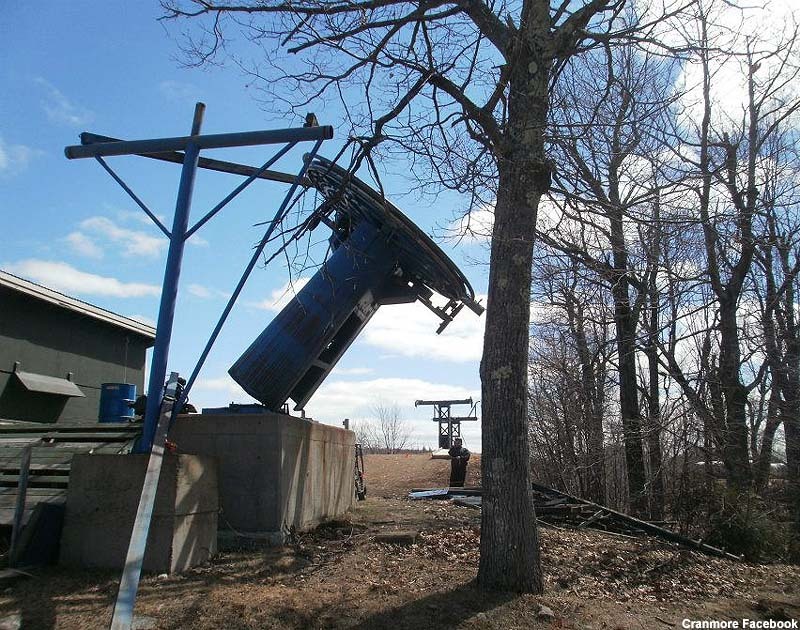 Following the 2011-12 season, the East Chair, at this point the oldest double chairlift in New England, was finally retired from service. 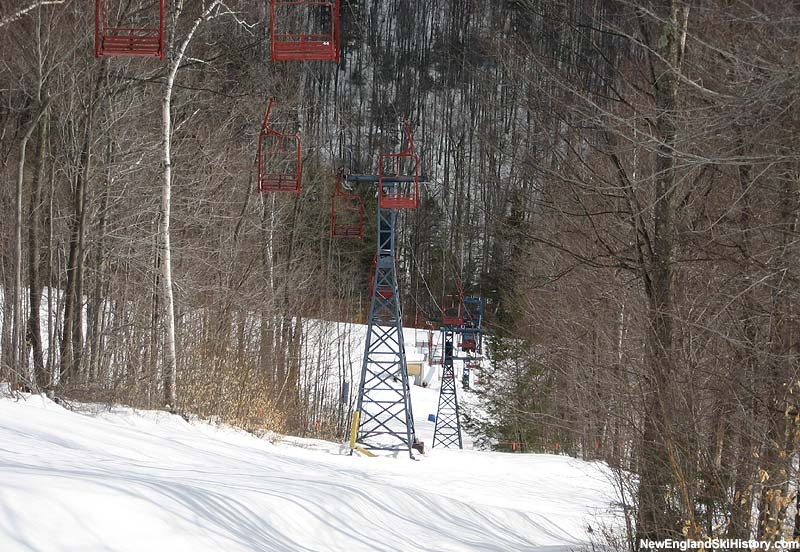 Its replacement, a triple chairlift purchased from Wachusett, was installed to the west of the former double. Named after Schneider's son Herbert, the new lift dropped some 200 vertical feet further down the slope and was connected to the existing terrain via some novice connector trails. 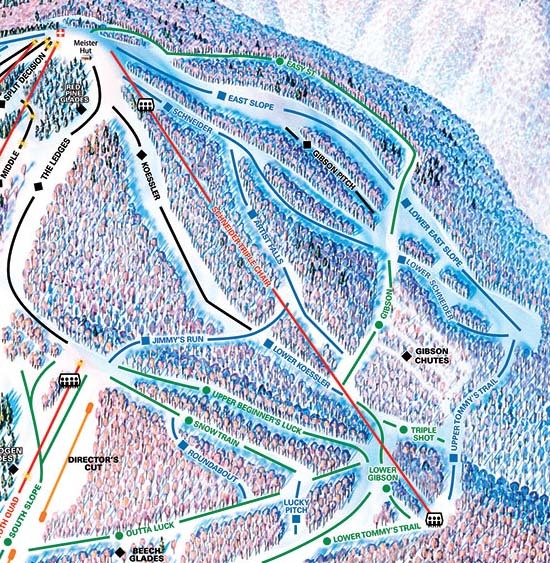 As a result, novices could now ski the East Bowl without having to negotiate the lower intermediate terrain. 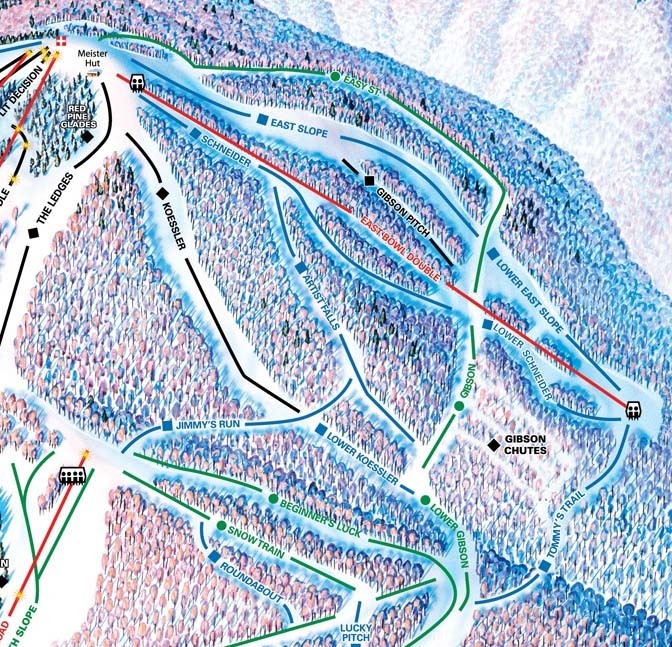 In addition, the new lower loading elevation allowed skiers to access the East Bowl via the South Chair, rather than having to take one of the summit chairlifts.